September 12, 2018 -- When patients cancel at the last minute or don't show up at all, it makes it difficult to meet that day's production goals. When this happens, your scheduling coordinator begins the scramble to find a replacement, while you're left to think about how much money it's going to cost you if the slot remains unfilled. Broken appointments lead to stress and chaos, and they are especially troublesome if they're a common occurrence in your practice. If you deal with them multiple times a week, it's killing your production numbers and costing you thousands in lost revenues every year. Sally McKenzie, CEO of McKenzie Management. While you can't completely eliminate broken appointments, you can take steps to reduce them in your practice and make them less stressful when they do happen. Interested in learning more? This is key, along with using that method to confirm appointments. Patients often forget about their appointment times, or they don't realize they have a conflict until the last minute, leading to cancellations and no-shows. If your scheduling coordinator contacts patients two days in advance via text, email, or phone call, depending on which method they prefer, it reminds them of the appointment and gives them a chance to reschedule if they need to. When patients schedule six months out, they often have no idea if they'll actually be able to make the appointment. Something often comes up, and they have to cancel at the last minute. To avoid this, I suggest developing a hybrid system and only scheduling your most reliable patients that far in advance. Your scheduling coordinator should use this phone call as an opportunity to educate patients about the importance of maintaining their oral health and why keeping appointments is so critical. Then the coordinator can reschedule the appointment. I suggest you follow the same process for patients who cancel at the last minute but don't reschedule right away. There are always patients who would prefer an earlier appointment time and patients who have flexible schedules. Keep a list of these patients, and reach out to them first when there's a last-minute cancellation. This will make it much easier to fill those slots, reducing the stress and chaos broken appointments tend to bring. After patients fail to show up for an appointment twice, they should be flagged as unreliable and not scheduled six months in advance. Instead, call these patients a few weeks before they're due. That way, they'll be less likely to forget or have a conflict pop up. Through this policy, ask patients to let you know at least two days in advance if they can no longer make their appointment. This enables another patient to see the doctor at that time -- and, of course, makes it possible for the practice to meet production goals. Make sure all new and current patients are aware of the policy, and politely remind them of it every time they schedule an appointment. For many patients, finding time to get to the dentist during the workday is no easy task. Extending your hours gives these busy patients more options. Consider opening early and offering evening hours a few days a week, as well as seeing patients one or two Saturdays a month. This will help current busy patients find a convenient time to come in and it could also be a feature that attracts patients to your office. Broken appointments don't have to be production killers. Instead of letting them ruin your day, have a plan in place to make them easier to deal with, and take steps to help reduce them in your practice. You'll find your days are much less stressful and much more profitable. 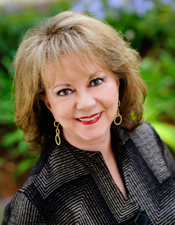 Sally McKenzie is the CEO of McKenzie Management, a full-service dental practice management company. Contact her directly at 877-777-6151 or at sallymck@mckenziemgmt.com.